Delicately made with a neatly weaved white colored Satin fabric, this outfit is certainly a men’s light grace when it comes to wearing some cheeky fabulous jackets at parties. Nesting in with a premium lining inside to give you the best of comforts, the Drive Scorpion Jacket has become one of the iconic incarnates in decorative men wardrobe wears. Zipper cherished on the exterior invalidates every boring wear effect and gives you an overwhelming attire experience. A full sassy camouflage clothing that will leave you celebrating all night long. Adding more to its exemplifying showy surface, quilted design is sprinkled sown all over it. Other additions made compulsory for this flashy fabrication involves rib-knitted cultures on the snap-tab collar as well as on both cuffs and hemlines. What make it a more observing masterpiece are its loosened full sleeves, offering you a trendsetter aspect. 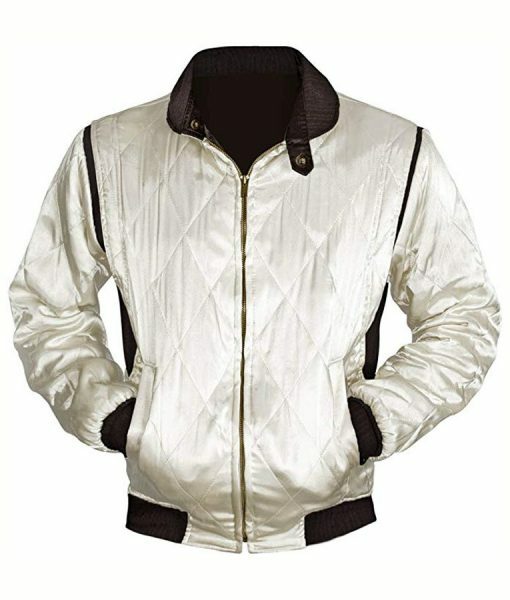 This Ryan Gosling Drive Jacket is decent glossy garment to start your marvelous festivity days. It’s a pretty nice Ryan Gosling Drive Jacket. A little tight around the waist but it is expected from a bomber style jacket. Good quality and best for fall. Im really in love with this jacket. It is great and very comfortable. I won’t suggest anyone to go with the sizing chart because it doesn’t fit as expected. I will prefer you to order your usual size. I’m 6ft tall and weight 160lbs, I usually wear small or medium in shirts and jackets. Not taking risk here I ordered medium for me and it fits perfectly. Like it was made for me only. Also, the shipping was super quick. The jacket looks mostly like Ryan Gosling wore in the movie. The linen used inside is pretty good and cozy too. The only complaint I have with this coat is the shell the material of it. It’s made of very thin material and can rip off very easily if any sharp thing hits on it. The scorpion embroidery on the back looks really good. No doubt this jacket is good. The rib knit helped me to get a fitting look. Overall, this jacket worth the price but I have to careful by sharp/abrasive stuffs. The quality of the jacket is good. It’s pretty warm and therefore it’s not suitable for warm sunny days but good for night out in discos. 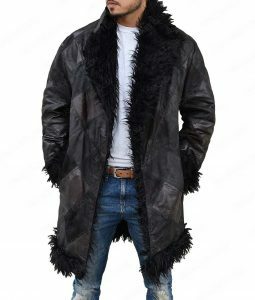 The complaint I have with this coat is kind of different from the review above. My wife complaint that it’s kind of thick for a satin jacket. Satin Jackets are not made to give you warmth, they are made as wind breaker of sort but if you’re willing for a warm stylish jacket for fall then this is great. Mostly if you live in northern areas, go for it. It fits as bomber jackets should like. I like the design of the jacket, the collar is totally fine. I ordered XL but would be fine if I order XXL for me so that I get a better appearance with long sleeves. The quality of the production is good that you won’t be disappointed with it. The brown inlays are just as accurate as in the movie. A perfect concept Drive Scorpion Jacket. I will divide my review in two sections of Pros And Cons. 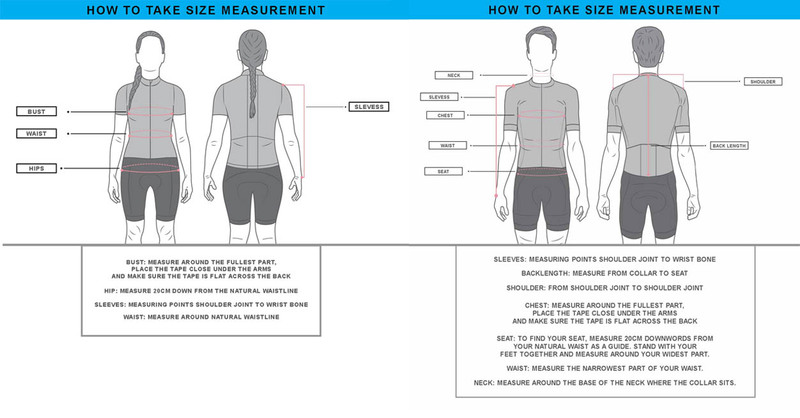 The sizing chart is not mostly accurate to fit you. I normally order large for me in hoodies and jackets. I ordered the same size here but it’s pretty tight for me. It wasn’t too tight but it was. I will recommend to order one size up. The shipping was late a day. Also the odor of the jacket was very strong. Wash your hands just after receiving your jacket so that it won’t hesitate others. I must say that the quality of the jacket is perfect. It’s warm and a very good jacket to wear in fall and spring but I will ignore it for a sunny warm day. One problem in jacket is zipper but it just worked fine in this golden scorpion jacket. The pockets are given in numbers. There are two outside but also there are two inside pockets that means you have a lot of room there. Overall, for $99 this is a quality jacket and worth the price. Just order one or two size up than your regular size and enjoy wearing it throughout. I will be honest with my review here and im sure it will be all different from others. This jacket is of high quality instead of low and has the correct sizing chart. It won’t run small unless you’re out of shape. I bought small for 5’6 140lbs and it fits best. My friend is 6’ 160lbs even he tried my jacket and looked good on him too. It’s a wonderful jacket and the seller was very efficient to communicate with me. I got my jacket on the 5th day after order where I expected it to be here in the 2nd week. One of the best purchases I have made online. Just keep in mind that the jacket is warm. I was hesitant to buy this jacket but I desired to get it soon. I received my jacket with fast shipping which was good but soon when I put it on it fits fine but then the jacket literally started falling apart. All I can say is that it seems to be sewn from dental floss. However, the jacket is as pictured but the stitching was very disappointing. I took out my sewn machine to make it correct again and now it looks good though. The jacket looks good. I normally get large in jackets and I ordered XL here that fits good. I was before wondering to order XXL but who would buy that big jacket. The quality is good as new and warm. One thing I noticed is that the collar is kind of different from the one in the movie. It still looks nice but it isn’t like the original one. As size chart recommends, I measured my chest and ordered medium that I usually order in shirts and jackets but it still feels a bit tight on me. It doesn’t look like it fits in the movie on Ryan Gosling. Now I know that no designer has made this for me specially, they follow standard sizing but lets take it into account. I will say to go one size up with the jacket for a comfort wear. Otherwise, im pretty satisfied with the jacket and with the shipping speed. The jacket arrived much sooner than I was expecting it. The quality is good and comfortable. I can’t wait more to wear it. This jacket’s good material vise and is very comfortable. I’m 6ft 160lbs and I genuinely ordered medium. It fits as expected around the chest and waist. The arms and shoulders feels a little bulky because it’s not a custom measured jacket. The only problem is the collar of the jacket that is very large. Other then this manageable con, this one is the best Drive Scorpion Jacket I came through. I purchased this for my boyfriend. We went two sizes up from what he usually wears just to be safe. There is a small extra room in the jacket but not too much. Only giving this 4 star because it’s not exactly the same like Ryan’s jacket but still it’s nice and the scorpion on the back is nice though. I got this jacket for a nice price. The finish was excellent. Im always careful with my jacket while walking with food/drinks as I believe it won’t get out easily. Even im far away from girls who use heavy makeup. The jacket fits snug on my 5’11 150lbs body. I bought medium. I will love to give this jacket 5 stars if the sleeves were shorter or has less padding. Because im small skinny guy, I have to hike the sleeves up to bring the brown part on my wrist. This makes a bunch up of sleeves around my skinny arms and this is why I bought XS that is still big for me. I even can’t fold my sleeves up because the rib knit is so snug that it will look funny. Looks like the original jacket from the movie. Gave this to my daughter as a Christmas Present gift. She’s also a fan of soundtrack of this movie. The jacket is bit poofier than I expected it to be, other than this, it’s pretty nice and warm wear. I spend about 15 minutes writing a review on this product but it vanished somewhere I don’t know. I will highlight it again because I really loved it. It’s a nice jacket and looks same as display picture (don’t know what size model is wearing). The jacket is good, fresh as new with decent quality and hopefully it will last for a while. However, Im pretty discontent with the scorpion on the back. It is made of golden and yellow thread and honestly it look great but not like the original one. The one Ryan wore is made of a different kind of thread that changes it color by direction that is not working in this one. The cuffs, collar and waist are as same as pictured but the length of the sleeves are pretty big for me. For sizing reference, Im 6’ 140lbs pretty skinny and I ordered size large. The length fits perfectly but the arms were big for me and chest fairly has room to fit another jacket underneath. It was a great experience purchasing this jacket. I have already recommended my friend this jacket. the customer service of USA Jacket is excellent, they frequently reply to all my questions. However, just be curious while selecting the size. These jacket are likely short so take your time and keep yourself in touch with the CS team before making the purchase. I’m pretty happy with the purchase. IT IS ALL THAT I WANTED. Just be sure to choose the right size and don’t forget to measure yourself before ordering. I usually wear large jacket and after reading the reviews above I went two size up and got 2xl for me. I’m happy with it, it fits perfectly. I could wear tight jeans and plain black shirt and thro this jacket on that gives me the right amount of pop to my looks. I’m a big fan of the movie and the soundtrack. This is the best gift I could ever have for myself. The jacket arrives on time, it’s new, fits perfectly, my son really liked it and it keeps him warm. It’s pretty white with yellow bright scorpion logo on the back. Looks like it’s directly taken from the movie. The jacket fits perfect. Thank you so much! I advise all to order one size larger than your usual size. The jacket looks as same like in the photos. The scorpion is as same as in the movie Drive. This is truly a good jacket and you won’t be disappointed. The main feedback I can truly give is that the Drive jacket here is to a greater extent a white/grayish shading, but in comparison with the genuine garment as shown in the film Drive which hopes to have to a greater extent a gold shine or cream shading to it. Good stuff apart from this story. I really like how they made this Gosling’s outfit looks mostly as same as the original one. Awesome purchasing straight away. Opened the door and got mine. I Bought a large sizing Drive jacket. Here what I liked on it: Golden Scorpion Label feels so much perfectly blended in the jacket that depicts an impeccable outlook from the back side, Stitch on the satin is excellent and the quilted formation done on the jacket is exceptional. 5 Stars! This Drive Gosling jacket is strikingly surreal. I got my parcel 4 days ago and I was surprised by the satin material the company has used. Phenomenally rich and packed in with astonishing deal ins – Rib knit structures, waist pouches, quilted scheming, etc. The biggest trait stapled on this outfit is the Scorpion logo on the back. Great embroidered satin-made product for boys and men alike looking for a sassy dress up at cosplays. This is very capable of being a woman’s jacket. I loved the entire designing and the detailing while desperately looking for a cool and edgy embroidery that I found to be very satisfied by the gold scorpion. It is very easy to fold and leaves no creases or spoils the quilted patterns on the jacket. The weight is good enough but the baggyness is very tolerable. I hope they can make a jacket that is solely dedicated to woman’s sizing. Stitching is fantastic. With only the excess threads sticking out next to the collar, it really wasn’t noticeable and made no difference when I cut it. It’s been more than a week and it is still intact. Awesome sating jacket from Ryan’s Drive film. The jacket itself defines your roads rolling roots with impeccable onscreen touches and the craftsmanship over this Scorpion Satin jacket is above par. The sewing methods feel like threads inculcated with a single hem blow – this is only because I’m telling you guys about its straightforward downright accuracy. I was really stunned when I took a close look at it. This Drive varsity is a true caliber echoing authenticity in maxim ranges. Nonetheless, always be sure to send you your measures and exact sizes you feel comfortable with since these letterman jackets are mere staple clothing requiring a comfort zone befit. For medium wearers like me, don’t forget to look up for the sleeves that might be a bit longer if you don’t check out for your right sizes. Otherwise, you can go for those average standard sizing. It’s all good and generous when it comes to quality and A-class exclusivity. This satin material is a lush matte for the fabric and the white color flush out of it is what made me go for the order. I’m very prone when it comes to pick a clothing that has veneer finishing over it. The overall ensemble color emulsion together with the profound thread darning really shows how the quality is possessed by this downright craftsmanship elegance. The rib-knit scheme was also a fine runner over this Ryan Gosling’s Drive signature driving jacket. I loved it and yes I got this one in a perfect size of medium that went suitably well over my body. Good to know that there are some great third party quality outfit makers out there instead of brands asking heaps of cash just for a body covering. Great garment and worth its price. Recommend to all! Answered by the admin	Yes we do ship to Argentina.